Onko sinulla kysymys kohteelle Metropark Hotel Causeway Bay? Eläväinen Hong Kong ja siellä Metropark Hotel Causeway Bay kätevässä sijainnissaan on kaikki, mitä tutkimusmatkalle tarvitaan. Tähän 4 tähden majapaikkaan on helppo saapua, sillä se sijaitsee vain 28.7 km päässä lentokentästä. Sijaintinsa vuoksi majapaikalta on helppo pääsy kaupungin pakollisille nähtävyyksille. Metropark Hotel Causeway Bay mukavuuksineen ja palveluineen takaa vieraille miellyttävän majoituksen. Ilmainen WiFi joka huoneessa, posti, taksi, 24h vastaanotto, liikuntaesteisten palvelut – siinä esimerkkejä palveluista, jotka ovat valmiina täyttämään jokaisen vieraan tarpeet. Osassa huoneita nautit sellaisista totaalisen rentoutumisen mahdollistavista korkeatasoisista mukavuuksista kuin taulu-tv, peili, tossut, pyyhkeet, erillinen olohuone. Majapaikka tarjoaa mahtavia palveluja rentoutumiseen vauhdikkaan kaupunkipäivän jälkeen, joista kuntosali, sauna, uima-allas mainittakoon. Oli matkasi tarkoitus sitten mikä tahansa, Metropark Hotel Causeway Bay on erinomainen valinta kun päämääränäsi on Hong Kong. Huomioittehan, että uima-allas tulee olemaan suljettuna tammi- ja helmikuun ajan joka vuosi. - Ilmaiset aamiais-, iltapäivätee- ja iltacocktailtarjoilut Panorama-oleskelutilassa. - Ilmainen nopea huoneen sisäinen internet-yhteys, huoneen sisäinen kassakaappi sekä kahvin- ja teenkeittomahdollisuudet. - Panorama Club -tilojen yksinomaiset käyttöoikeudet. Varattaessa 5 tai useampaa huonetta, eri käyttöehdot ja mahdolliset lisäykset saattavat päteä. Henkilökunta asiantuntevaa, mutta ystävällistä. Näköalahuoneista upeat näkymät Hong kongin lahdelle. Hyvä aamiainen. Sopii myös lapsiperheille. Hyvää, mutta vielä järkevissä hinnoissa olevaa hotellia arvostavalle. Hotellin suhtautuminen ympäristöasioihin jäi epäselväksi. Sanomalehti-suojapusseja kierrätettiin, mutta miten esim. alumiini, lasi ja muu muovi. Näistä en ohjeita löytänyt. Hotelliin hyvä yhteys lentoasemalta express-junalla. Vaihto metroon(islandline), jolla Tin Hau-asemalle, josta pari sataa metriä hotelille. Tällä vakioi matka-ajan ja välttää etenkin Hong kongin kovan aamuruuhkan. Metro ja raitiovaunu liikkumiseen aivan ylivoimaisia ruuhka-aikoina ja tässä hotelissa pysäkit aivan vieressä. Hong kongin puolella ei myöskään häiritse Kowloonissa riesaksi asti kadulla parveilevat epämääräisten tavaroiden ja -palvelusten kaupustelijat. Reseptio hoiti pöytävaraukset ongelmitta niin Victoria Peakin, kuin myös muihin ravintoloihin. Location is great, short walk to Tin Hau MTR. There is a long stretch of street food around the station which makes it a great choice to try out local delights. Many buses to get to diffident area. Plus 3 tram stops to Causeway Bay. Staffs are very friendly and helpful. Our room is relatively spacious by HK station. We can see Harbour view from our room at 914. Bonus point: Airport shuttle (to/from Hong Kong Station)stops in front of the hotel making this hotel a choice selection. Metropark turned out to be a nicer hotel than expected. The rooms were nice, staff was very nice and the views from the room and roof top were great. 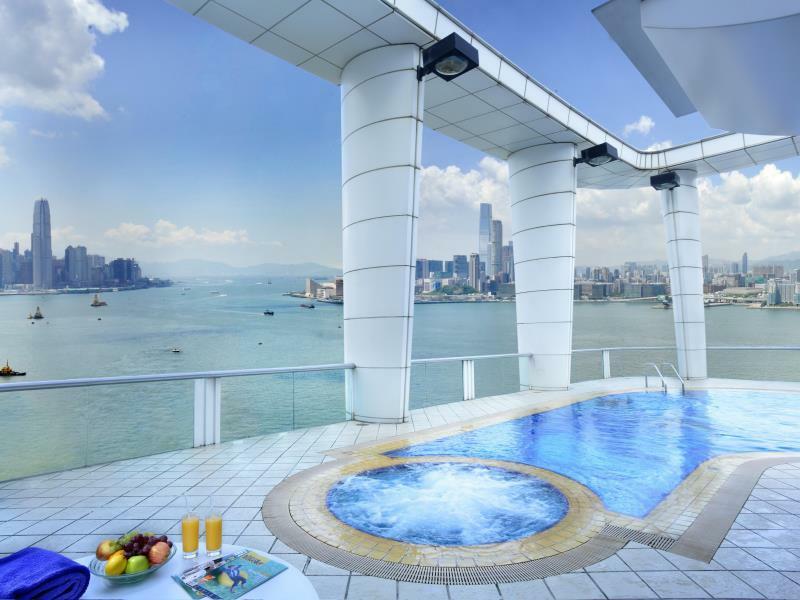 Being a HK hotel we didn't expect the rooftop swimming pool to be much larger than a bathtub - and it wasn't. Gym was also small and had some basic cardio equipment but precious little by way of weights. 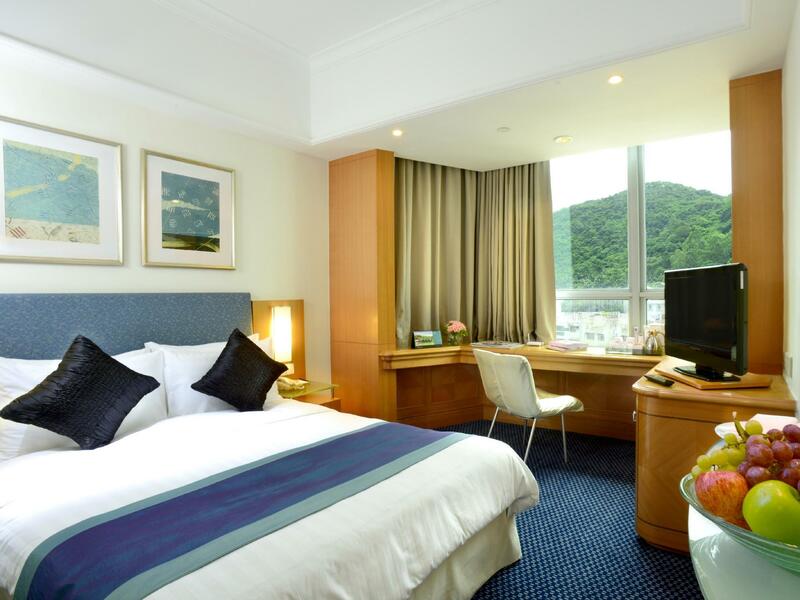 Neither of this is a surprise or a criticism, just one of the facts of most hotels in HK. Location close to the Tin Hau MRT was convenient, we deliberately didn't opt for the hotel breakfast given the plethora of good local breakfast restaurants nearby. Concierge staff is particularly outstanding - one stood on the street for a good 15 minutes trying to get us a cab and finally I felt it wasn't fair to take him away from his desk for so long and told him we'd go to the main road and try there. Bar prices! 2 for 1 deals and happy hour and free drink vouchers. Changed how they interpreted it. Very confusing and got expensive when you added a soft drink! 5 mins to Tin Hua MTR. Near Hotel has got 24 hrs supermarket - Market Place. A very nice and fresh Dim Sum Restaurant. Value for money. I go here for breakfast every morning during my stays for 7 days. Highly recommended.. Room is clean. Location is convenient. It's near MTR station as well as trams. Hotel provides free shuttle bus to HK Convention Center. There's a 24 hour supermarket nearby. Got a room that has great view of the Victoria Park, Causeway Bay and view of Kowloon. Especially at night when there is a night show - you can view Symphony of Lights from your hotel room minus the symphonic music. However, the hotel facilities somewhat don't match the star ratings. It feels like a 3 star hotel. Perhaps I came off the wrong foot with the front desk upon arrival but that might have been due to some misunderstanding when booking the rooms. Anyway, from that point onward it was purely a good experience. The manager offered a reasonable solution and we upgraded our rooms. The hotel is well positioned, discreet and nice. If you are smart and from the beginning chose a high level room with a harbor view you will not be disappointed. If no breakfast included then just walk around the corner to Classified and get a good treat. The hotel is well worth your money! The hotel is well maintained and staff are friendly...Would visit again One issue - Getting a taxi during peak hour near the hotel takes lot of time - walk to the nearby MTR station - much much better. Would recommend a review of the room service menu by the management. This is definitely a nice choice. Me and my boyfriend stayed there for 4 nights. Standard room is big enough for a couple and clean. The staff there are very kind and nice that you can ask whatever you want and always with smile. 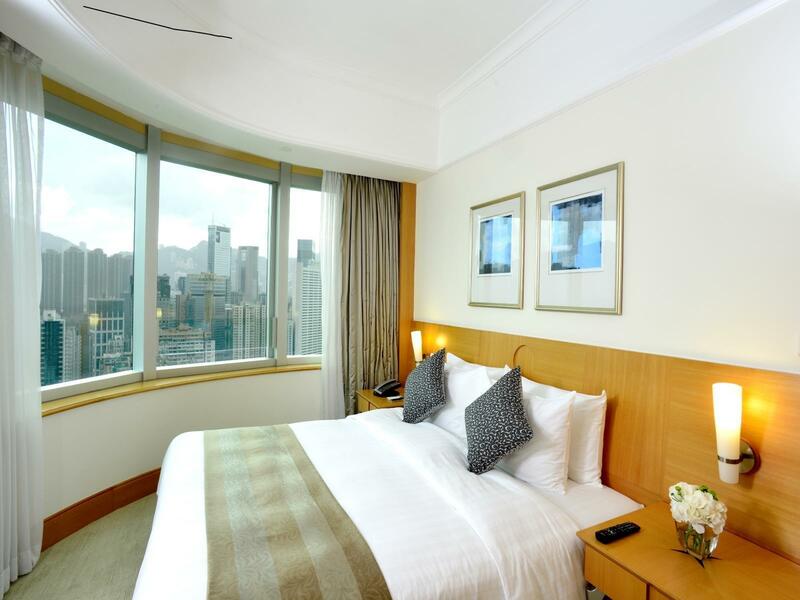 The best thing is that the location is very good just 5 min walk to Tin Hau station. Anyway nice trip with Metropark hotel. Took me 45mins to check in because there was a slight variation in my booking name despite me having all the necessary IDs, credit card and booking confirmation. Very small room and bed wasn’t comfortable. Probably an old bed - sinks in on one side. But good location, very near to the mrt and accessible to central area. It was my first time visiting Hongkong. We chose this one because of the rooftop swimming pool and free shuttle service right in front of the hotel main gate, which both are just described in the page. Right next to the train station, which makes ut accessible to other areas, a blocl away from delicious local street where we can have a lot of decent ethnic foods. We had great time at the hotel and on the way back to the airport, the free shuttle brought us to the hongkong train station. Very convy and enjoyable experience at this hotel. I would 100% reccommend this hotel. I was shocked to see that the pictures I found of the place was underselling the rooftop view. I was already excited to see, but I was floored when I was up there as it far exceeded my expectations. Honestly the view was so good, going up to the peak is almost a waste of time. I only wish we are allowed up there in the evening. The hotel though looking its age is immaculately clean, and the staff are friendly and accommodating. They have a nice Restaurant Bar which at least on Friday nights has a jazz band with a singer. The scene is on the older scale, but everyone looked like they were having a great time. Checkout was a breeze. So for the price I honestly don't think you can beat this place. I was so happy to have found it and on my next trip to HK, i will likely stay here again. 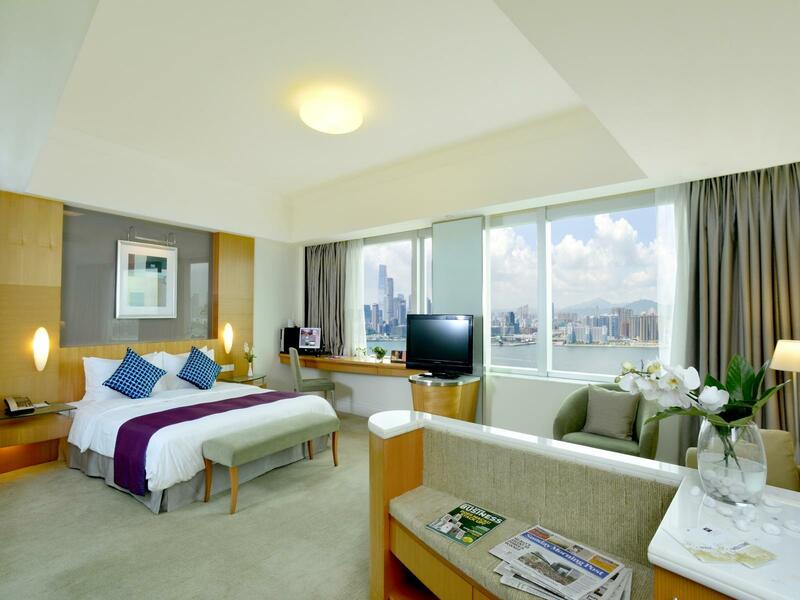 Location is near to MTR and easily accessible to most attractions. The hotel gave my hubby a complimentary birthday cake surprise on our first night stay which leaves us a memorable momery. Although was pricey but for the harbour view we get its worth it. The room is indeed big and spacious. Will come back again in the near future and highly recommended!!!! I stayed in executive room. Very comfortable, not too decorated, with sophisticated coloring. Facilities are modern enough, and well kept. 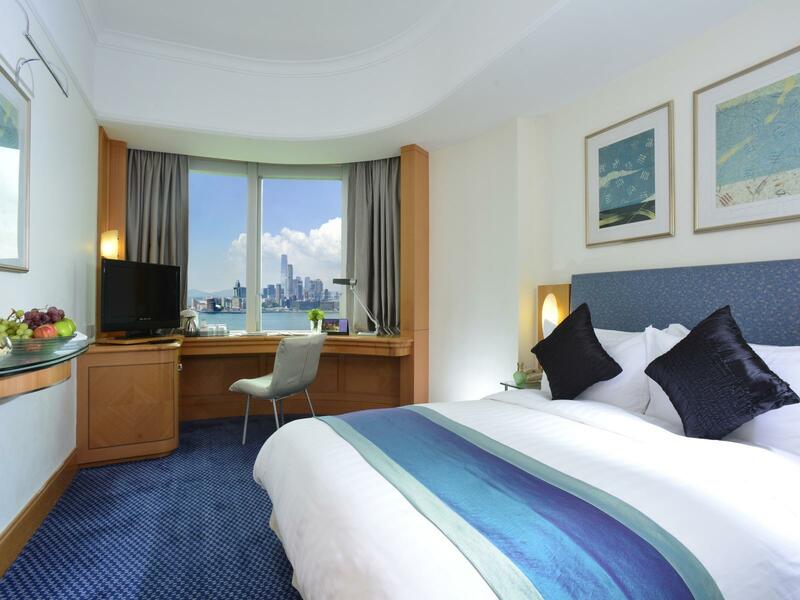 Harbourview is one of the best from Hong Kong island side with the green of Victoria Park. I would have requested late checking out if I were charged less than one third of the one night fee for six hours, 2500HK$. This hotel is a good choice overall. I've stayed here several times in HK. Rooms are decent. Rooftop pool is great. Location is close to MTR. Staff are friendly. Only minor complaint is the live music in the bar which ruins the atmosphere in the restaurant. it is near the Timhou MTR Station and Vitoria Park, and Central Library etc, which makes its location good and convenient. The family room is so good / impressive big considering that the hotel room in HongKong are usually very small. the room has super big bath room too. Tin Hau MTR Station on 0.1 km.